June 30, 1893. 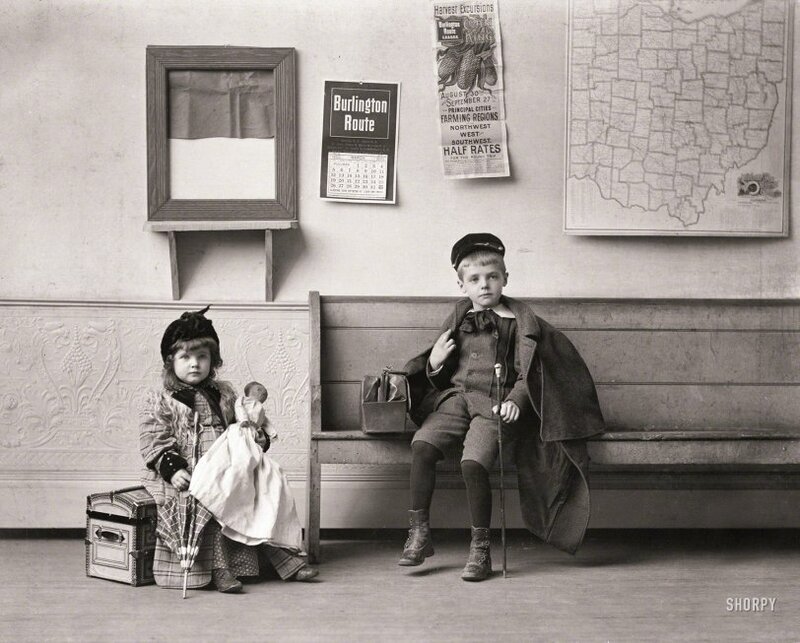 "Waiting for the train (girl and boy in railroad depot; map of Ohio on wall)." The photographer is credited as one Mrs. W.M. Gatch. View full size. I think it's fairly obvious. Submitted by WJBrennan on Sun, 12/16/2018 - 8:19pm. This young man is on his way to a bare knuckle boxing match. 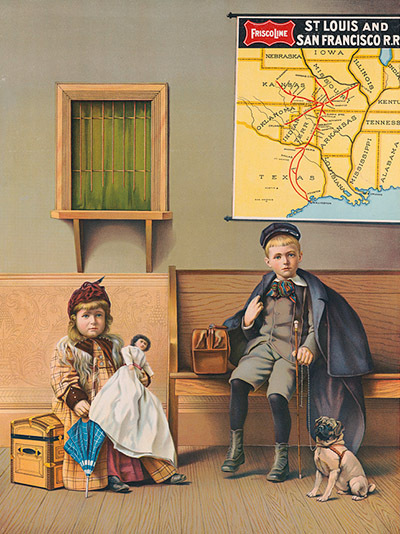 He will be thrashed by Little Lord Fauntleroy. Submitted by 1pictureisworth1... on Sun, 12/16/2018 - 3:48pm. The caption for this obviously posed photo says it was taken in a "railroad depot", but something about it makes me think it was taken in front of a specially constructed backdrop. What is the shelf above the girl's head for? It's only holding a picture frame with nothing in it but a piece of wrinkled paper (or cloth?)? Is it supposed to look like a ticket window? Items displayed on wall look positioned by photographer, not just randomly placed. The floor and wall also look far cleaner than those found in a typical public space. Anyone else get the same idea? Submitted by texasjack on Sun, 12/16/2018 - 2:24pm. The caption reads June 30, but the calendar on the wall has March. The clothes the children are wearing are also not very indicative of June. What do you think?